Today’s solar eclipse is a big deal here in Polk County. 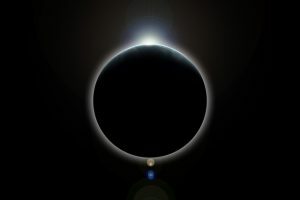 Schools are altering their schedules, parents are planning parties around the big event and some businesses are even closing earlier or taking a break during the time of the eclipse so their employees can enjoy it. With all of the excitement, we bet you didn’t count on the solar eclipse being good for your job hunt, but if you’re unemployed, it can actually give you a bit of a leg up in your search today! During the eclipse, many people, including fellow job-hunters, will be occupied with their children, events, changed-up schedules, etc., which means they won’t be actively researching and applying for jobs. You can seize the opportunity and use the hours during the eclipse to actively look for job openings, send in applications, call business owners regarding openings, etc. Chances are, you’re more likely to be at the top of the list of emails, received resumes, and voicemails when the eclipse is over and you’ll up your odds of getting a quick response and (hopefully) an interview about the job! The solar eclipse isn’t the only unique time to apply for openings! You can also make yourself stand out and increase your odds by applying for some positions during holiday breaks (like over Thanksgiving weekend or Christmas week) or during summer breaks when many people are preoccupied with kids who are home from school. Make the most of your job hunt and watch for opportunities to stand out from the crowd. If you’re ready to take your job search to the next level, PHR Staffing Solutions is here for you. To find out how we can help YOU, apply with us here online or give us a call for more information.